Je serai presente a ce Salon ce weekend. 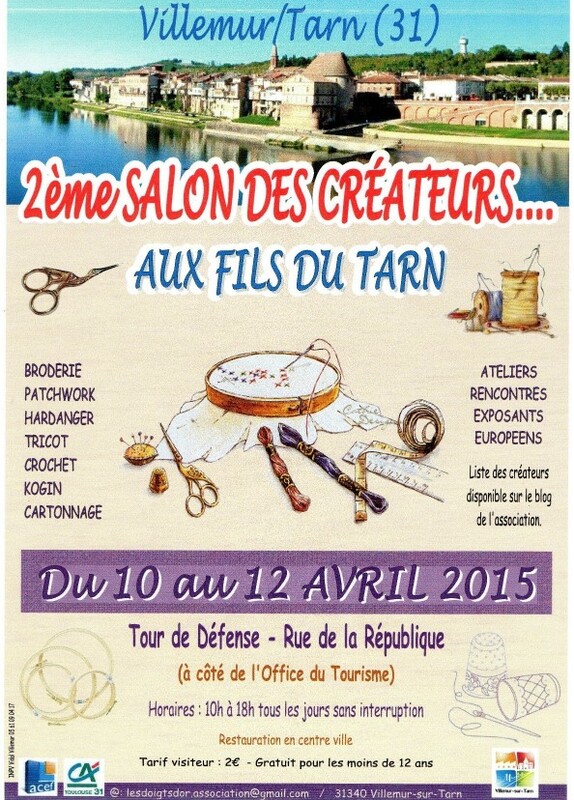 This entry was posted in Moulin Designs at Salons / Exhibitions, See us at Salons & Exhibtions - à venir and tagged Aiguille Anglaise, Les Doigts d'Or, Salon, Villemur sur Tarn by aiguilleanglaise. Bookmark the permalink.